As seen on the new Mk8 2018 Fiesta ST-Line this new style wheel fills the arches on the Mk8 Fiesta perfectly without comprimising the ride quality. These will fit any Ford with 4x108 fitment including all Fiestas and older Focus models amongst others. Available as a single wheel for a spare or replacement or a set of 4 to transform the look of your car. The Pumaspeed Workshop team are ready to fit the Genuine Ford Fiesta Mk8 ST-Line 18 Inch Wheels in our Head Office located here. Therefore making parts and labour a total cost £314.53 (inc. VAT). 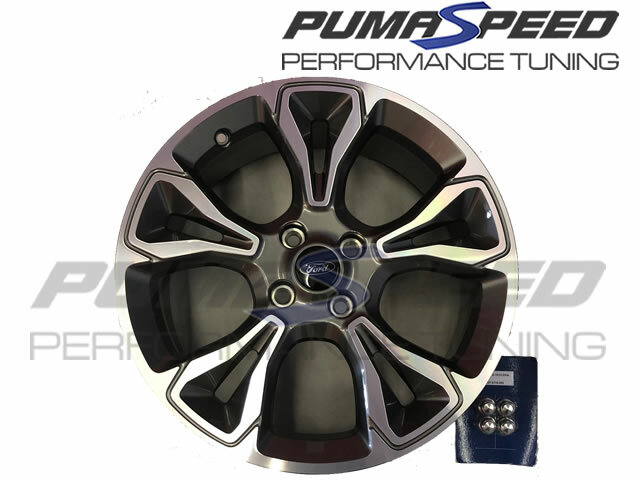 Pumaspeed have a specialist distribution team that can dispatch the Genuine Ford Fiesta Mk8 ST-Line 18 Inch Wheels to any destination worldwide.